Nearly four months ago, Chinese researcher He Jiankui announced that he had edited the genes of twin babies with CRISPR. CRISPR, also known as CRISPR/Cas9, can be thought of as “genetic scissors” that can be programmed to edit DNA in any cell. Last year, scientists used CRISPR to cure dogs of Duchenne muscular dystrophy. This was a huge step forward for gene therapies, as the potential of CRISPR to treat otherwise incurable diseases seemed possible. However, a global community of scientists believe it is premature to use CRISPR in human babies because of inadequate scientific review and a lack of international consensus regarding the ethics of when and how this technology should be used. In 1972, Paul Berg, an American scientist, took genetic material from one cell and inserted it into the genome of another cell with a virus, generating the first recombinant DNA molecule (Figure 1). This new gene-editing technology allowed for rapid advancements in science, medicine, and agriculture, but it was met with strong pushback on the putative hazards of genetic modification. In 1975, the National Institutes of Health (NIH) appointed a Recombinant DNA Advisory Committee (RAC), a group of 25 scientists tasked with creating the NIH Guidelines for Research Involving Recombinant DNA Molecules. The RAC’s principal mandate was to serve as an advisory committee—to review research proposals planning to genetically modify cells and to withhold funding from projects that did not follow the evolving Guidelines. 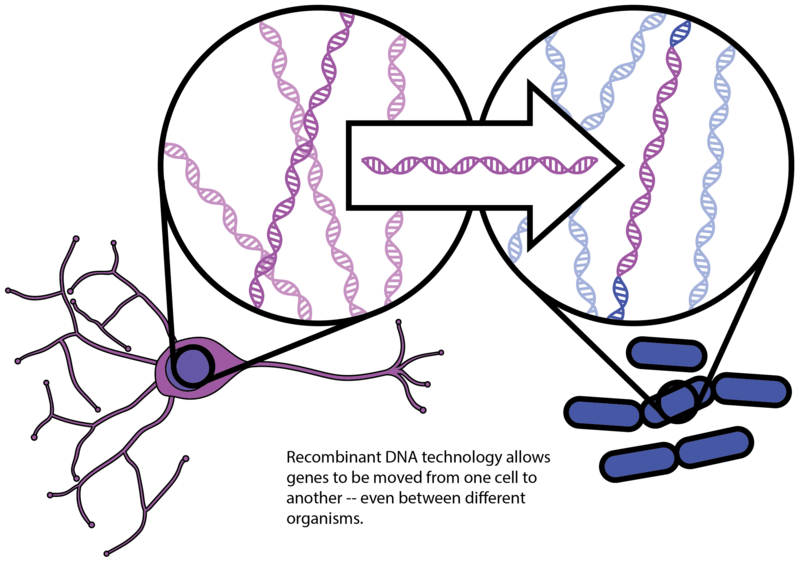 Figure 1: Recombinant DNA Technology. DNA from one cell (purple) is transferred into the DNA of the second cell (blue) using a virus. In the late 1980s, the RAC first began approving clinical trials using recombinant DNA technology to genetically engineer somatic cells. Somatic gene therapy refers to genetic modifications made in non-reproductive cells so the modifications are not passed onto future generations (Figure 2). Today, there are thousands of clinical trials utilizing somatic cell gene therapy with recombinant DNA technology to treat disease. Contrary to somatic gene therapy, in the mid 1990s, national and international guidelines and regulations were established in over 40 countries to prohibit germline genome editing in humans. Germline genome editing is controversial because it makes permanent changes to parental egg or sperm cells in humans that can be inherited in all future generations (Figure 2). A common fear is that germline genome editing may also lead down a “slippery slope” towards designer babies. Figure 2: Somatic Cells vs. Germline Cells. DNA editing made in somatic cells (purple) cannot be passed down to future generations. DNA editing made in germline cells (gray) will be passed down to all further generations. In 2003, following a rise in assisted reproductive technologies, the Chinese Ministry of Health delivered a set of Guidelines for conducting research on embryonic cells (Figure 3). These guidelines, which some believe are not sufficient in the CRISPR era, discourage using viable embryos for research but specify no explicit penalties. After the news about CRISPR babies broke in November 2018, the Chinese Academy of Medical Sciences responded, stating, “We are opposed to any clinical operation of human embryo genome editing for reproductive purposes in violation of laws, regulations, and ethical norms in the absence of full scientific evaluation.” At present, it is unclear if these guidelines will change in China or whether the Ministry will adopt a different regulatory system. In the US, the National Institutes of Health (NIH) director, Francis Collins, responded by saying, “Maybe what we need is a new version of the RAC that allows a public, intense, scientific debate about areas of some scientific potential where there are many unknowns.” On an international level, the World Health Organization (WHO) has established an expert panel for oversight of human genome editing, a group that plans to review gene-editing globally and hopes to establish a governing framework for germline gene-editing technologies. 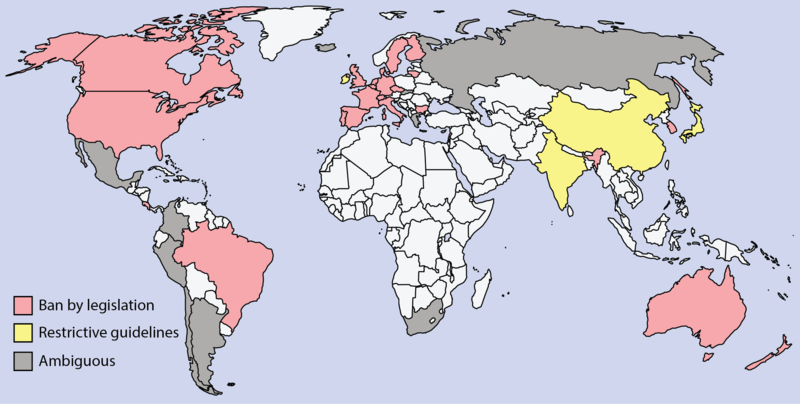 Figure 3: International Regulatory Landscape on Germline Genome Editing. Many countries have longstanding legislation in place to prohibit germline genome editing. The US congress banned the FDA from approving any therapy involving germline genome editing in 2015 and this law was renewed in 2018 (Sec. 736). China has had regulatory guidelines in place since 2003, but these regulations have not been updated since. Countries colored in gray have ambiguous regulations, and we do not have sufficient data to categorize countries in white. Image adapted from Araki M and Ishii T, 2014. and Ishii T, 2015. One of the greatest debates on the ethics of germline genome editing surrounds the reasons why we are using this technology: for therapeutic interventions in dire circumstances or for the enhancement of humanity? This international debate is complicated because of the cultural differences in perspective on what should receive a genetic therapeutic intervention. When cochlear implants were first invented, members of the deaf community protested, stating “What may seem to a hearing person as opportunity may be seen by some deaf people as a loss.” The rise of genetic engineering may open a door to eliminate traits that some cultures—but not others—consider an illness or deficit. Moreover, some bioethicists believe that if we do not draw a clear line between therapy and enhancement, we may usher in a new wave of eugenics. There is another issue for the international community to address: Who will have access to CRISPR therapies? Currently, the easiest avenue for editing the germline is through in vitro fertilization (IVF), which can be quite expensive. In developing countries around the world, access to IVF clinics is greatly limited; in the US, health insurance companies rarely cover the costs of IVF, which can be $20,000 or more. Politicians discussing health care reform will not only have to consider who has access to basic primary health care needs, but also whether socioeconomic status will be etched in the genes of people who cannot afford gene-editing therapies to have undesirable genes removed. Scientists and the public across the globe now need to decide how to move forward with CRISPR/Cas9; this tool has the potential to save many lives and improve quality of life, yet we must also reckon with the power of controlling the DNA of generations to come. Valentina Lagomarsino is a first-year graduate student in the Biological Biomedical Sciences Ph.D. program at Harvard University. Sean Wilson is a fifth-year graduate student in the Department of Molecular and Cellular Biology at Harvard University. Cover Image: Illustration by David Parkins; used with permission of the illustrator. A version of this graphic has also appeared in the journal Nature. Eisenberg and Schenker. Reproductive health care policies around the world. Journal of Reproduction and Genetics. 1997. 14:6. Wivel NA. Historical Perspectives Pertaining to the NIH Recombinant DNA advisory Committee. Human Gene Therapy. 2014. 25:19-24. Araki M and Ishii T. International regulatory landscape and integration of corrective genome editing into in vitro fertilization. Reproductive Biology and Endocrinology. 2014. 12:108. Ishii, T. (2015). Germline genome-editing research and its socioethical implications. Trends in Molecular Medicine. 2015. 21(8): 473–481.